I haven’t posted here the last couple days; between work, family, and a little remodeling project, time has just vanished. 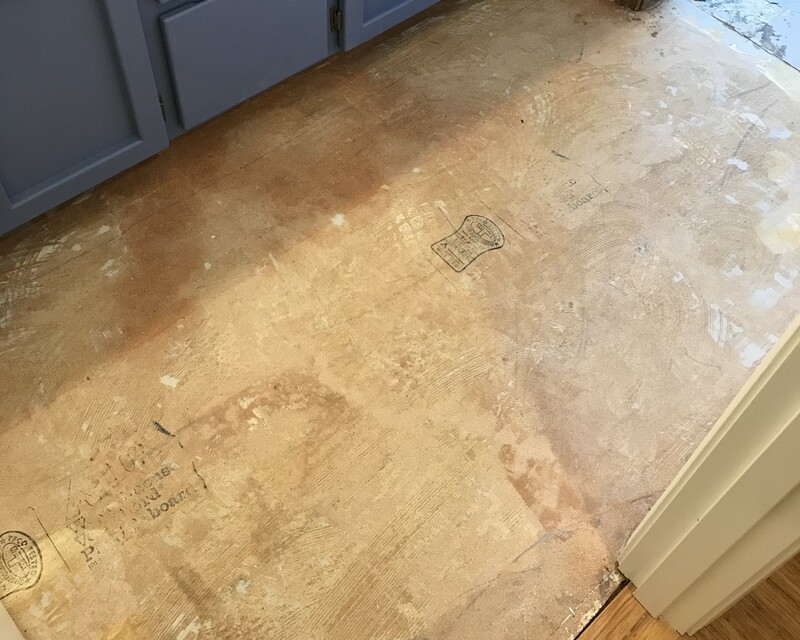 And as my blog reflects things going on in my world, today’s post is decidely non-tech related: It’s about the remodeling project. 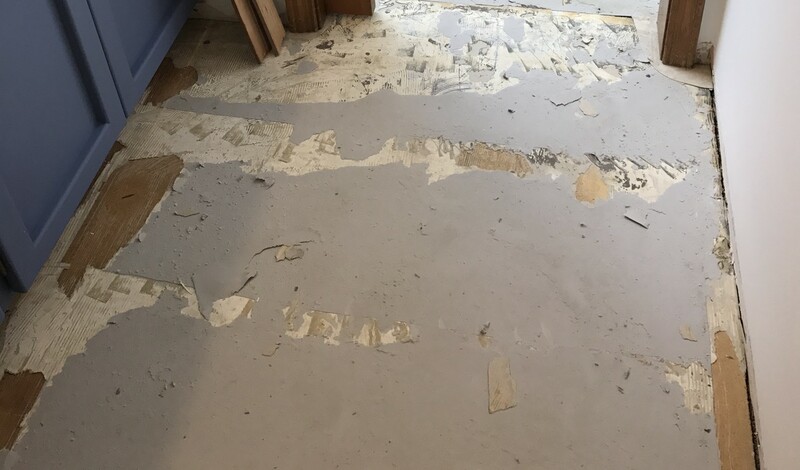 I had no idea how to remove this gunk, so I bought a few tools at Home Depot: A carbide-tipped scraper that looked like a larger putty knife, a “pull to scrape” device, and a heat gun. With the carbide scraper and the heat gun, I was able to get down to the wood, but it was incredibly slow going—I cleared about three square feet in a couple of hours. Ugh. It’s supposedly designed for removing wallpaper, though I think it would tend to take huge chunks out of the drywall if used for that task. In looking at it, though, it seemed ideal for removing the leftover crud from our floor, so I took a $10 risk and bought the thing. And I have to say, it was great $10 purchase: Even without the heat gun, it made short work of most of the residue on the floor. For those areas particularly thick with glue, a bit of a hit with the heat gun in front of the scraper and the scraper would lift that right off, too. The blade is incredibly sharp—wear gloves and watch your fingers! I bought extra blades, but I only used two to do the entire floor. One task down, so many more to go, including replacing the damaged sub-floor in the shower room. That’s this weekend’s project. 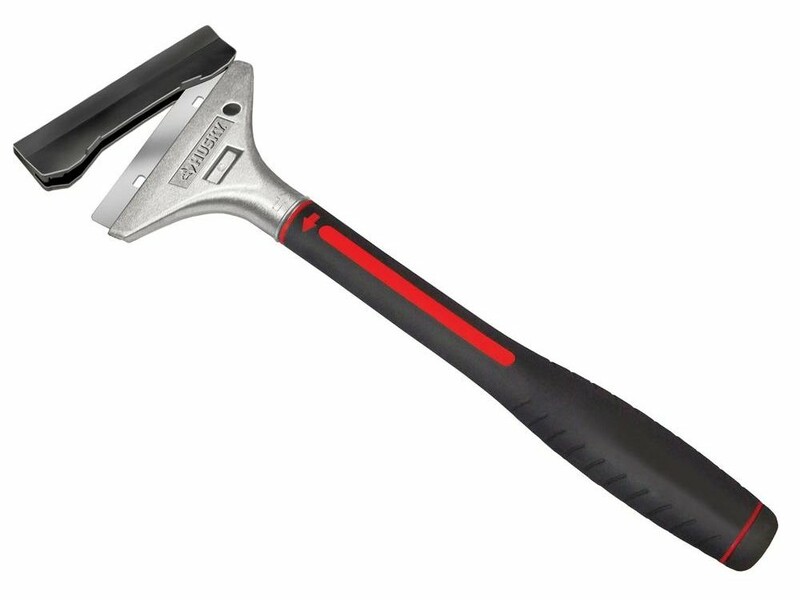 But if you’ve got some old flooring reside to remove, I can’t recommend these wallpaper scraper tools highly enough—the one I bought made relatively short work of a horridly time consuming job. Did you by any chance get that tested for asbestos ?